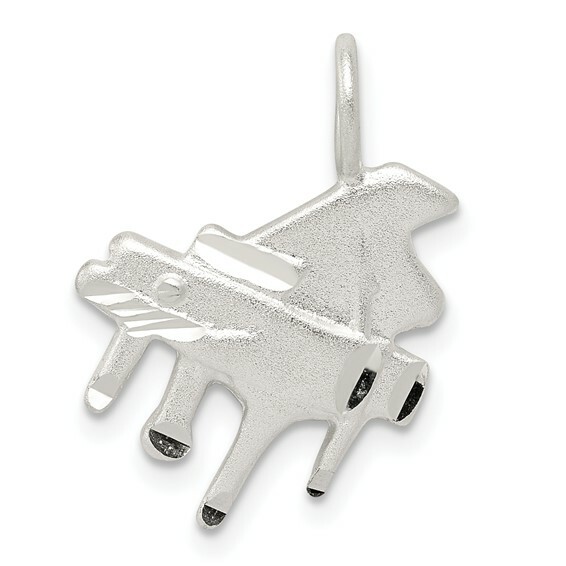 Sterling Silver Diamond Cut Grand Piano Pendant. Weight:1.5 grams. Measures 11/16 inch tall by 9/16 inch wide without bail. I gave it as a gift and was very pleased.